SeaWorld responded on twitter, but the message was heard loud and clear by One Direction fans worldwide. There was shocking news earlier this week that a SeaWorld employee had infiltrated animal rights groups and posed as an animal rights activist. Earlier this week PETA accused activist Thomas Jones of being Paul T. McComb, a SeaWorld employee. 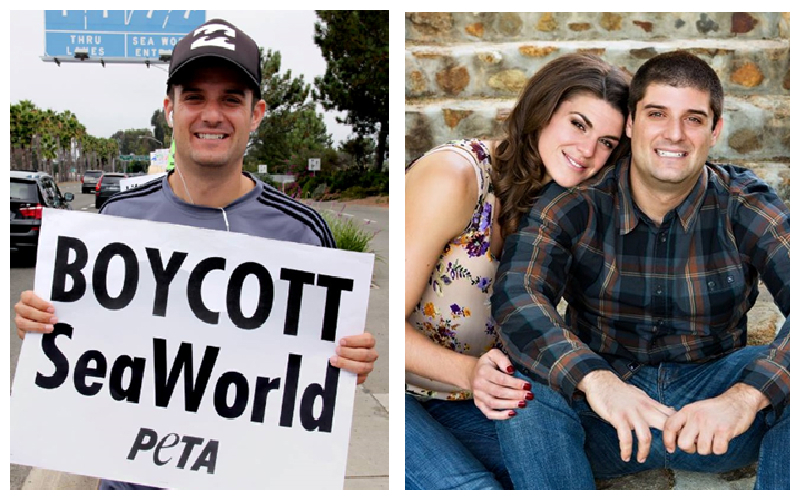 You can decide for yourself, below left is a photo of Thomas Jones boycotting SeaWorld and right is a photo of SeaWorld employee Paul T. McComb. Read more on this story via The Dodo. Since the release of Blackfish, there has been a huge drop in attendance and stock prices of SeaWorld. At the end of last month, SeaWorld shares dropped a staggering 5.1% in one week. Read more on this via News Watch International.